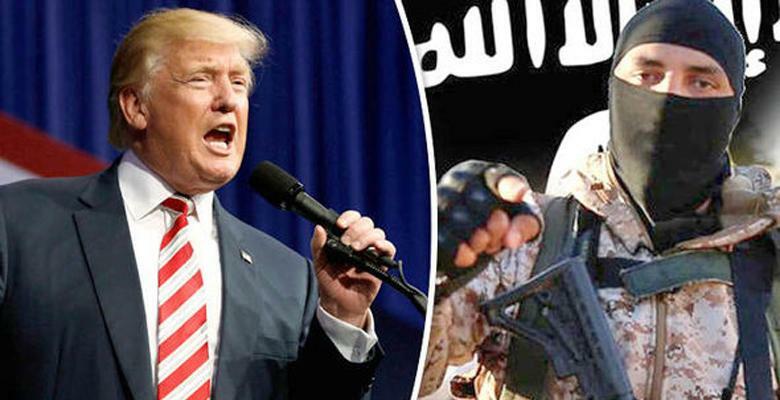 Can Trump Stop Radical Islamic Terror at the Source? The President of the United States has a lot of power. Okay, that's an obvious statement. But sometimes I think, given our flippant culture, that we don't understand just how impactful our Command in Chief can be. While the SNL's and John Olivers of the world try to denigrate Trump- and have been doing so since the campaign- the rest of the world thinks differently. Even during the 2016 election, world leaders were hedging their bets for a Trump presidency. Remember when Trump went down to Mexico? While still a candidate- one that our media said didn't have a chance of winning- the sitting president of Mexico wanted to speak with him. Trump used the opportunity to show the voting public that, yep, the leaders of the world took him seriously. You may recall that after the visit, President Nieto invited Hillary to come. She declined. An everyday American citizen might feel comfortable with insulting our leaders to their face. Or at least online. But much of the world does not have that kind of attitude. In a way I'm glad we can do that; it's a product of growing up in a culture that values free speech and individual expression. It's what gives me license to criticize former President Obama or a nut job like Nancy Pelosi. But beyond our everyday blather, beyond our personal likes and dislikes about the man, the President of the United States carries a serious authority. With a word, he can make or break an agenda. A single line from a speech or statement can send ripples throughout our society. I remember during the Bush administration, when he made reducing our dependency on foreign oil, a priority. He used that phrase multiple times in a State of the Union address. Suddenly it was being said by everyone. And I mean everyone. The liberal media may have mocked W, but they still took his words seriously. The rise of Black Lives Matter could be placed squarely on Obama's shoulders. Animosity between black Americans and police has existed for a long time. For good reason. But it was the reckless words of President Obama- regarding the death of criminal Trayvon Martin- that sparked a movement that today calls for the death of cops. And beyond all the empty bluster of the mainstream media and their cohorts in the DNC, President Trump's words and agenda are going to have a huge impact on our society. And societies around the world. Some hack judge might block an executive order now and again, but we all know where the power lies. Even before he was inaugurated, Trump was being congratulated by world leaders. As president, he's met with the U.K. Prime Minister, the Chancellor of Germany, the Prime Minister of Israel, the President of China, and most recently, that little dictator from Turkey. While some might consider these obligatory meetings with a new head of state- it was the other guys who flew to Washington to see him. All the leaders of the world want to get on Trump's good side. Regardless of their politics and agenda, they know what Trump is capable of. You don't become an internationally known businessman and personality without knowing a thing or two about negotiations. President Trump has made it his goal to put Americans first. While some have equated that with Hitler (still don't understand that one), it sounds like a reasonable goal for an American president. But it also means that we don't have a leader that will bend over backward to accommodate the EU, World Trade Organization, NATO, UN, or OPEC. Sure, he will play ball, but I doubt Trump is going to acquiesce to deals that will hurt American workers. Which brings me to the issue of terrorism. Trump was the first president to use the term "radical Islamic terrorism," during his first address to the Joint Sessions of Congress. President Obama made a lot of excuses for why he never said it. But Trump has made it clear that one of his major goals as POTUS is to stamp out this virulent threat. A lot has been said about terrorism and Islam. I have made it clear on TrigTent that I believe there are many great Muslims who want peace and prosperity. But that doesn't erase the sticky reality that there is a segment within the religion that is calling for the death of non-Muslims, mostly in the West. That's a problem for us Westerners that want to, you know, keep breathing. President Trump has already worked to prevent future acts of terror from striking U.S. soil. His two executive orders regarding travel into the United States confronted nations known to support terrorism. While judges have made the implementation of those orders complicated, it doesn't negate the reality that there are people trying to enter our nation simply to murder us. I've even written before about how they don't always use airports to get in. In addition to using executive action to hinder the spread of terrorism, President Trump has ordered Secretary of Defense Mattis to make destroying ISIS a top priority. On his first day at work, Mattis blasted ISIS thirty-one times. Since then, he's dropped the Mother of all Bombs on a supply cache in Afghanistan. Military action continues to choke ISIS of supplies. We also know that Secretary of State Tillerson is going to work with other leaders in bringing an end to the war in Syria- which might mean the removal of dictator Assad. But it also means a direct assault on the terrorist network in that country. But let's be honest. We can wipe out ISIS, cripple the Taliban, and erase Al Qaeda from existence. But terrorism will still exist. Because you can't kill an idea. The painful reality is that there are countries- or at least large contingents in those countries- that believe in jihad. Terrorists are recruiting non-Muslims in prisons. They are training children in Iran to fight in terrorist-themed amusement parks. Even in Muslim nations that are allied with the West, the governments seem reluctant to crack down on known terrorist cells. If we are going to have a future free from radical, Islamic terrorism, more work must be done besides dropping bombs or vetting airport passengers. Islamic leaders around the world must agree to take a role in combating this evil. I already know what some of you are thinking. "Oh, Trump is going to convince Muslims to fight terrorism? Isn't this the guy who is Islamaphobic?" I'll have to remind you that Islamaphobia isn't a real thing. And yes, while Trump has made strong remarks about modern terror's roots in Islam, he's always prefaced it with the term "radical." That is a significant distinction. One that no honest person can deny. The American media has equated conservative views on Islam with hate. But Trump and his supporters make it clear that radical Islam is to blame. Muslims that want peace- that want to live in safety among their neighbors- are not the problem. It's the group that believes Islam is calling them to war against non-Muslims that are the problem. Even Muslim-majority countries, ones that wish to work with the West, have to acknowledge this distinction. Otherwise, they are saying that there is no difference between jihadists and everyday Muslim people. And... that won't put them in good stead with America and the rest of the world. These Muslim leaders and countries will have to listen to Trump, if they wish to appear compliant. At least on the surface. There have been rumors that terrorist groups have been funded by Saudi and other nation's leaders for years. At the very least, their refusal to confront the spread of radicalization in their countries is helping terrorism grow. A stern message from the President of the United States will go a long way in waking up the complacent rulers of the Muslim world. If they realize that Trump is serious about ending radical, Islamic terror, then maybe those rich Saudi princes will get their act together. Perhaps they will cooperate with the U.S. and other nations in apprehending known terrorists in their countries. Even more importantly, they will stem the spread of propaganda and ideology that casts the West as eternal enemies. That, my friends, is a tall order. The gulf between the Western world and the Middle East has existed for a long time. There are centuries of conflict and challenges that have made these parts of the world enemies. And while modern global trade has forced nations to put those issues aside, there are still cultural differences that program us to view the other side as the adversary. But that ultimately doesn't matter. Terrorists can't keep killing people. Beyond religion and politics, something has to happen to end the spread of death and destruction. During his time in office, President Obama took a different approach. One would say a bad one, that blamed outdated historical events and the West for the rise of modern terror. Uh, what? No wonder the Middle East did little to help the U.S. The president put the blame of terrorism on Cold War-era events and "colonialism." Um, is it 1776? Are there a lot of colonies giving Muslim nations trouble? These are some of the richest countries in the world. They've become fat and happy thanks to all the oil we buy from them. Do they really have such a beef with all of us car-driving Westerners that they would want to blow us up? Of course not. Obama was being politically correct, using a tactic of limp-wristed appeasement rather than simply saying: "Help us stop the f**kers that want to kill us." I'm thinking Trump is going to have a better approach. And those of you who only believe what Huffington Post writes, no he's not going to be a bully. President Trump literally wrote the book on the art of the deal. Say what you will about his style, he knows how to get things done. It could be as simple as saying, "Help us end terrorism, or we will do business elsewhere." Or it could be more elaborate. Trump could lay out a plan for building cooperation between the U.S. and Muslim nations. He might recommend tactics for eradicating radical propaganda. Regardless of what he says, it is up to the Muslim nations of the world to decide to get on board. Will they agree to aid the president and usher in a new age of peace and cooperation? Or will they continue their policy of doing nothing, effectively being complicit in the spread of radical, Islamic terrorism?